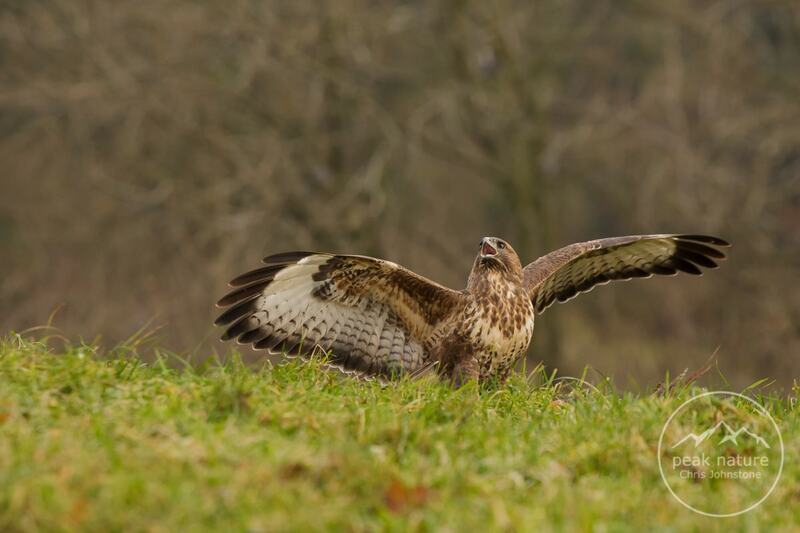 With a number of customer bookings and a short trip away, it was high time I got back to the local buzzards. According to the forecast conditions were not going to be ideal for photography but there is always a chance that they might change just when needed. What's more, any time spent observing wildlife is always invaluable in growing my knowledge of the subject so I was running out of excuses to stay in bed. I like to be in the hide before the sun has fully risen. Although the buzzards are rarely waiting at the hide each morning, if I can get in and set up without showing myself outside the hide, the chances of the birds coming down is much greater. I can even get 40 winks in before it's properly light too! It's nearly 5 years since I started watching these buzzards and in all that time I have never been able to figure out a pattern for their feeding behaviour. This means for each day in the hide success is unpredictable. The birds may appear, the may not so I've got to stay alert the whole time. Yet, although I can't set my alarm by the buzzards, in five years I have managed to perfect a dozing technique that means I can close one eye (and ear?!) while remaining alert using the other. How I came to learn how to do this, I'm not sure but it comes in handy during extended sessions in the hide. This morning, I didn't have to wait long. By 10:30am, one of the local adults was with a group of corvids. As far as I can tell this bird is . As usual the crowd did their best to distract the buzzard by pulling on its tail feathers while it was eating, however a minor distraction is all it ever amounts to. Something that couldn't be ignored however, was the arrival of the second buzzard. Before it came into view, Woody had bolted off the prey leading me to think I'd blown my cover so it was with a sense of relief and excitement that I watched the second buzzard glide down and assume control. From what I could tell, this was Blondie - a very pale buzzard I have seen many times before at the hide although her plumage had a tint more orange to it. As she began to grab a few mouthfuls I could hear Woody circling overhead. Clearly he wasn't prepared to give up he food so easily. After a couple of passes he made an attempt to push Blondie away. He partially succeeded and both buzzards moved back over a small rise in the field meaning I could only see the tips of their wings as they scrapped just beyond sight of my lens. I only managed to capture Woody's approach with the poor light making precise focusing and a fast enough shutter speed quite difficult to achieve. After their scrap both birds seemed to forget about the good and moved off into nearby trees to assess the situation. 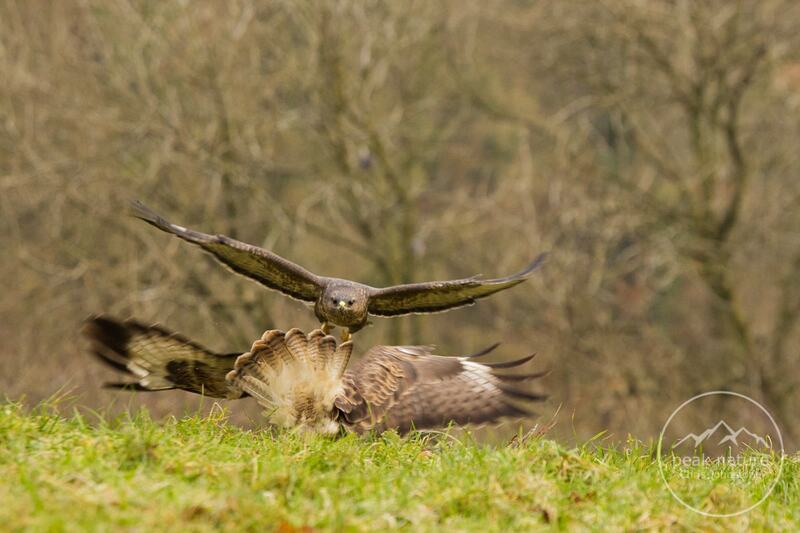 I wonder if this due to having a better chance of controlling the food when flying at your opponent from speed thus creating a stalemate over which buzzard was going to come down first and act as a target for the second. 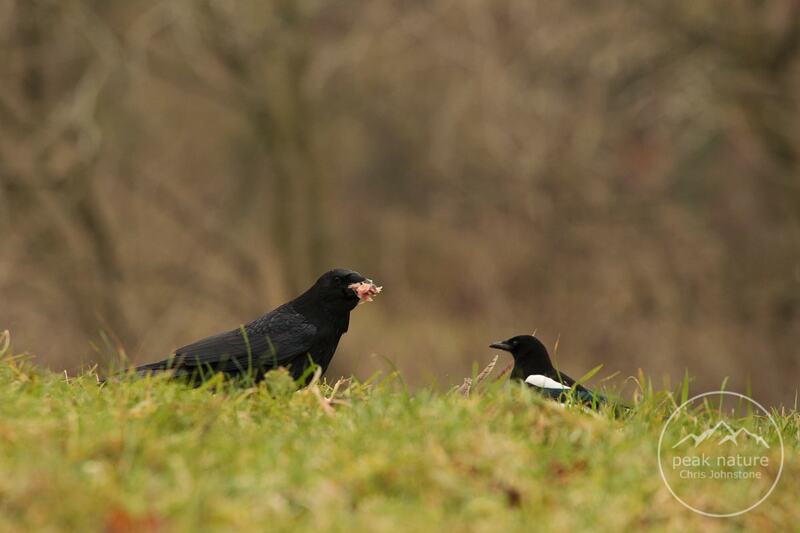 Either way, I didn't get to find out as the crows and magpies took full advantage of opportunity to eat as much of the food as possible while the buzzards were pre-occupied. Supermoon - Hype or Hypnotic? Are we getting the full picture?